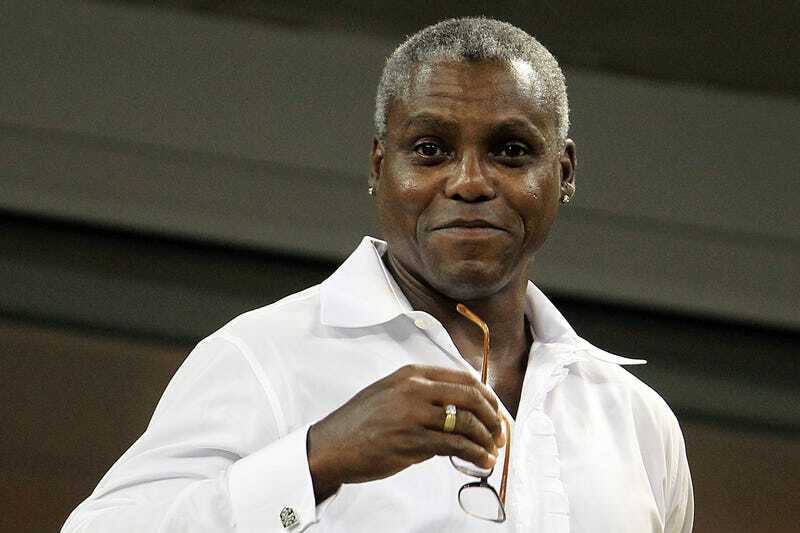 Former track star Carl Lewis, of all people, has a gripe with New Jersey governor Chris Christie. Lewis said Monday that back in 2011, when Lewis considered running for a state senator position, Christie attempted to persuade him otherwise. Lewis said Monday the governor called to dissuade him from running as a Democrat for state Senate in 2011 against Republican Sen. Dawn Addiego. Lewis says he was told the fitness program they'd been developing wouldn't materialize if he ran. Lewis says the governor felt the post "was a carrot he could pull away." "The governor put his people together to get me out of the race," Lewis said. Lewis ended up dropping from the race after not meeting all the requirements, so the threat was meaningless, but it's still amusing given Christie's current situation. The governor's currently dealing with the aftermath of someone in his administration closing part of the George Washington Bridge and backing up traffic for hours, just to get back at a political opponent, and now, he's accused of trying to manipulate Carl Lewis? What the hell, man?